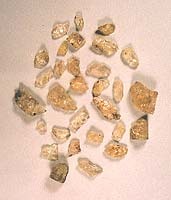 Sunstones collected at Sunstone Knoll, Millard County. 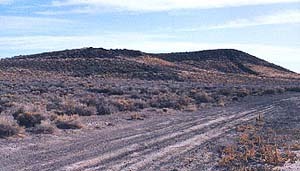 Sunstone Knoll is formed of volcanic vents that erupted during the early Pleistocene (1.6 million years to about 750,000 years ago). These eruptions left deposits of basaltic lava and volcanic breccia (angular, broken rock fragments held together in a matrix of finer grained material). Sunstone is a transparent, yellowish labradorite (a plagioclase feldspar mineral) found as crystals in these volcanic rocks and on the flats surrounding the knoll. Sunstones litter the ground on the east side of the knoll. Many small stones can easily be found when they glitter in the sunlight. Stones range from 1/8 to nearly 1 inch long, but the larger stones are rare. Crystals and fractured grains of sunstone can also be found in cavities in the lava although the rocks generally have to be broken to expose the crystals. From the west edge of the town of Delta (railroad overpass), travel west on U.S. Highway 6/50 about 4.3 miles to the State Highway 257 junction. Turn south on highway 257 and travel approximately 13.4 miles (just before mile-marker 56). A sign on the west side of the road marks the entrance to Sunstone Knoll on the east. Turn east onto the dirt road, cross the railroad tracks (watch for trains), and circle around the knoll to the east side. Please sign the register at the entrance. 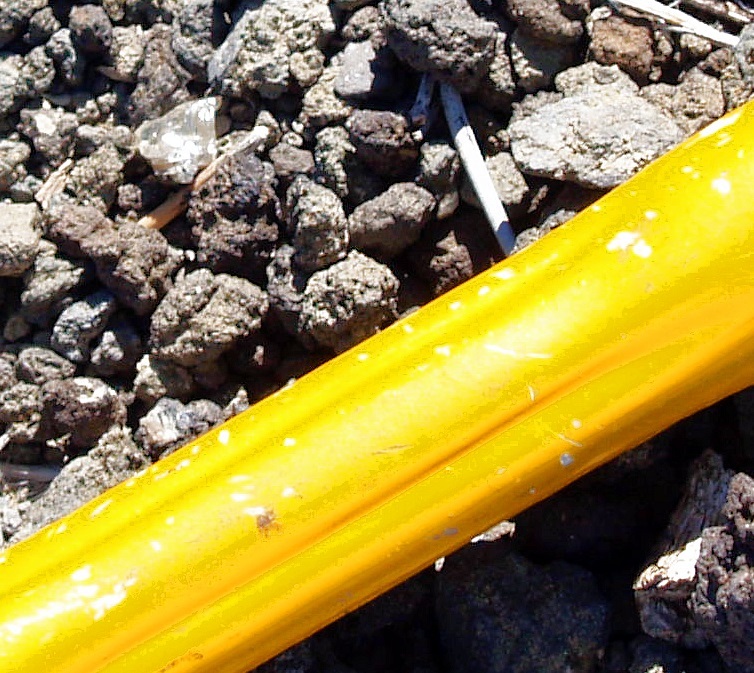 A private claim is on part of this site, but individuals are generously allowed to collect. Utah highway map, Delta 1:100,000-scale topographic map, and Sunstone Knoll topographic map (7.5 minute). Topographic maps can be obtained from the Natural Resources Map & Bookstore, 1594 North Temple, Salt Lake City, UT 84114-6100, (801) 537-3320 or 1-888-UTAH MAP. 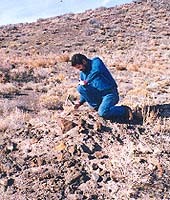 Land ownership: Private mining claim and BLM public lands. Precautions, miscellaneous: Children should have an easy time collecting on the flats, but be careful, as glass from broken bottles can easily be mistaken for glittering sunstone. Watch for rattlesnakes. Look for trains before crossing the railroad tracks. A hat and water are recommended. Bring a rock hammer and protective eyewear if you intend to break open the rocks. Please carry out your trash. Have fun collecting!